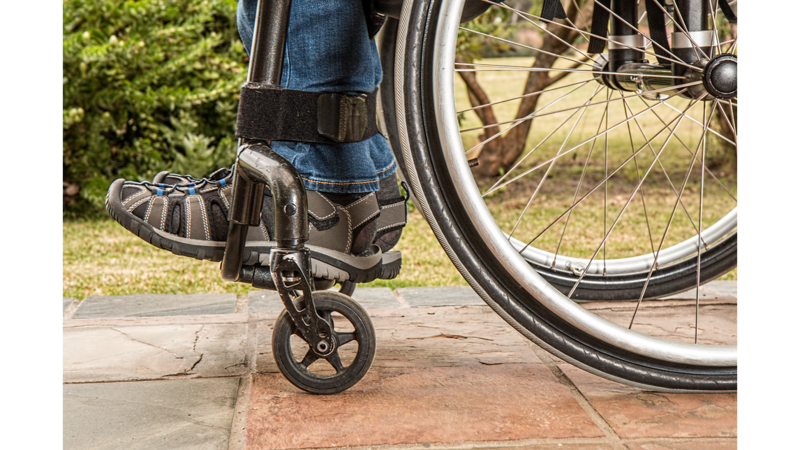 In everyday life, door sills and steps in public spaces can become a challenge for physically disabled people having to rely on a wheelchair. As a rule, where no ramps or similar aids are available, only practised individuals succeed in surmounting them. This is why such situations represent a considerable obstacle for many wheelchair users. One well-established force assist approach is wheelchairs with motorised servo assistance. However, they rather tend to support forward motion and only slightly compensate for the user&apos;s lack of force when driving over obstacles. High edges require a balancing act in which a second person or even an additional step-climbing aid may be required. Here, scientists at the Institute for Control Systems have found a solution. A newly developed, semi-automated balancing assistant provides support in surmounting barriers, so that users no longer need to rely on help from other people. For this purpose, sensors are attached to the wheelchair and its wheels that can identify both the position of the wheelchair on a level plane, its surroundings and the force applied by the user, and hence also what the user intends to do. As soon as a wheelchair user encounters an obstacle, a special control algorithm recognises its edge in front of the wheel. Triggered by an impulse given by the user, electric motors bring the wheelchair into a balanced, tilted position. In this position, supported by motor propulsion, the user can exert muscular force to move the wheelchair forward over the obstacle. The control system ensures that the wheelchair is constantly in balance, although the user is still continuously in control of the vehicle. With the aid of this technology, wheelchair users can achieve more safety and also regain some independence in day-to-day life.